First of all, you people rock because you have yet to give me hell about not giving you a solid recipe in a few weeks. It will happen very shortly; this week has just been nuts! I made turkey chili on Monday which gave us dinner for two more nights. I'm currently chili'd out. Or is it 'chill out' ? Something like that! Boy was it tasty, though. And you see that cornbread to the right? It was actually one Jiffy brand apple-cinnamon muffin mix which I just added some cheddar cheese to. It was really yummy. Shortcuts are okay when you're starving and want a nice meal. Again, thanks for understanding my lack there of. I've always had just 'okay' skin. Though I neglected to take proper care of it and drank way too much root beer and not enough water. Ten years ago, I attended skin care school thinking that being a professional skin care specialist and applying makeup was what I'd be good at. At that time I was attending community college and was miserable and lost. I knew I liked makeup, but that was really it. I even remember Milady's textbook. I must have discarded of it a few years back. It was clear to me after wasting time and money on state exams and not passing each go around by seven silly points, that this really was not what I wanted to be doing. So back to college for that piece of paper I went. It took four years but it was worth it enough and I did it. As I've gotten older, I realize that taking care of my skin seems to be the wise thing to do. Along with many other wonderful things that come with getting older. Oh, the joy. 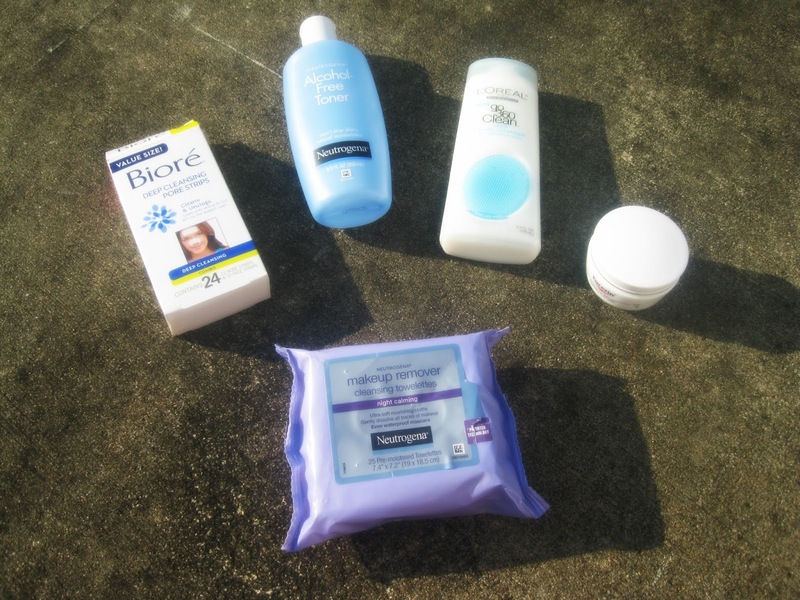 I wanted to share my current makeup and skincare routine with you. It's not top of the line items, but what I use works for me. 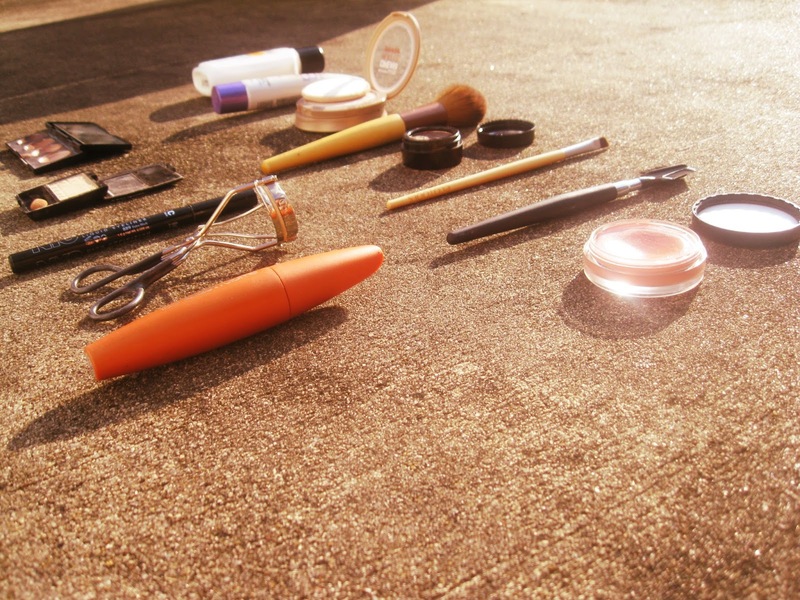 I love routine, so why not also apply a routine to makeup and skin care. That stuff should be fun, right? If there is one thing I learned and kept with me from skin care school, it's that I have sensitive skin. And some redness in certain spots. When I first started school, my skin was so dry, simply from too much soda. The lesson learned? Don't drink soda. It's not healthy and it gives you dry skin. Stick with water! 2. The best cover up! 3.The "scrublet pad" is the best! It's a bit oily at first, but really sinks in well and gives the skin a hydrated feel. That's my current makeup and skin care routine. I like it, for now. I'm finding that with all I do in a days time, which certainly is not a lot some days or anything special, I try to at least remember to take care of my skin at night. It's a nice refreshing feeling at the end of a hectic day. Especially being with child now, I feel like I'm becoming paranoid thinking about each body part and what I should take care of first. I'm aware that the baby is first priority, but neglecting our skin, or gums isn't right either. Routine can never go bad. Which makeup/skincare products are your favorite? What other specific routines are present in your life? I try reallll hard to take good care of my skin, but more often than not, I forget sunscreen. I also have at least one or two nights per week when I totally neglect to take my makeup off before falling asleep. Whoops! I love Roc moisturizer! It does a great job plus it has SPF 30 which is so hard to find in skin care!